Save the Date! 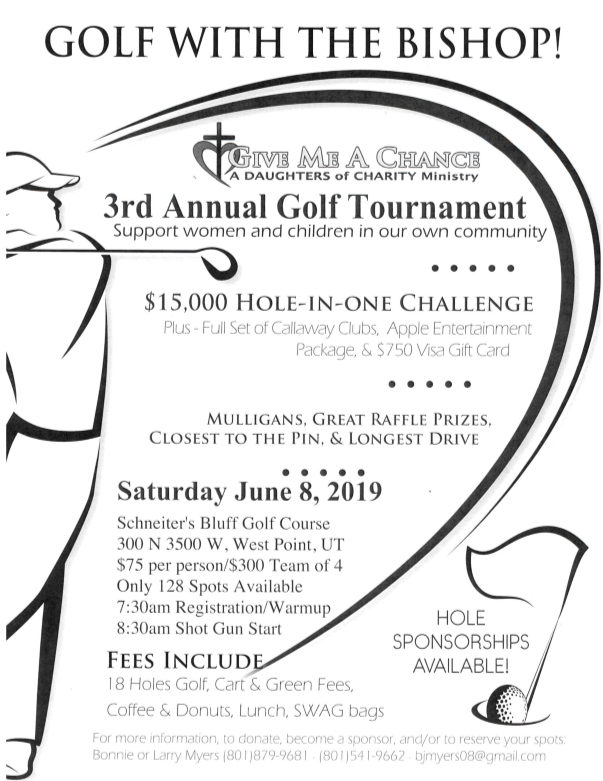 Our 3rd annual "Golf with the Bishop" tournament is going to be held on June 8, 2019. Please watch for more information in the upcoming weeks!